The World Economic Forum identifies water crises as the top global risk to industry and society over the next decade. 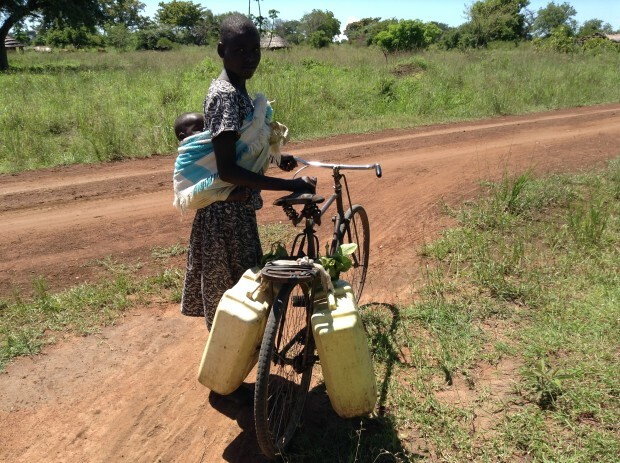 Over 793 million people around the world; without access to fresh water and large part of the water scarcity issue is occurring around islands and coastal regions, with 233 million people living in these areas experiencing water shortage conditions. The current desalination technologies require electricity through either fossil fuels or renewable energy sources and many regions rely on imported water which has high costs and market uncertainty. Sustainable water solutions are one of the fastest growing industries in the water sector as water scarcity becomes a primary global issue. 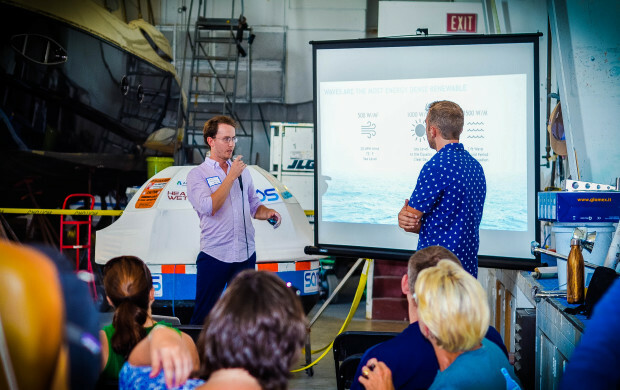 A significant supply of energy exists in our oceans, yet harnessing this energy in a useful and efficient manner has been a challenge, until now. SAROS, an innovative technique of getting fresh water using renewable energy source, the fund-raising campaign is currently live at Indiegogo for a goal of $ 25,000 and still a month to go. 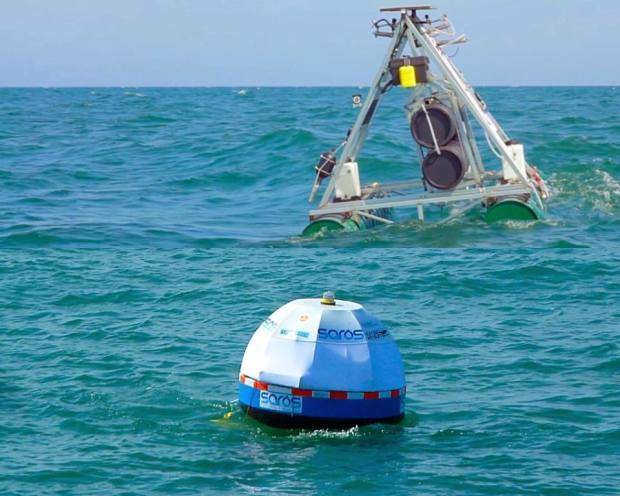 SAROS (Swell Actuated Reverse Osmosis System), the inaugural venture of EcoH2O Innovations, is creating and testing a wave driven, seawater desalination system with minimal operational carbon footprint that is powered solely by ocean waves. The device provides a consistent supply of new, fresh water, rather than reusing current water reserve and brings desalination to areas that otherwise lacked access. 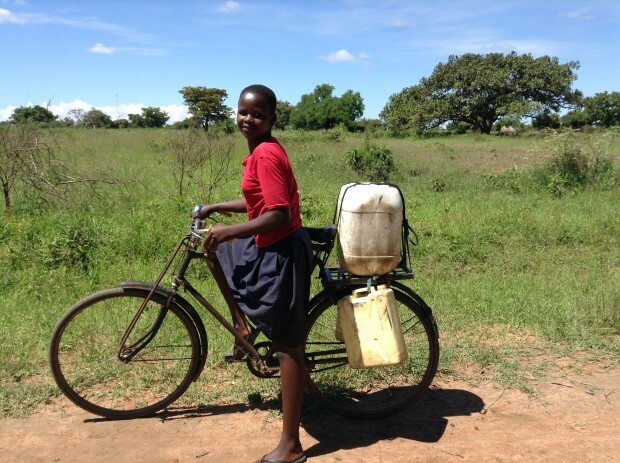 By removing the dependency of outside resources, communities will be able to focus on other day to day tasks. The capacity of one SAROS machine is around 3,500 gallons per day and can group units together to provide up to 50,000 gallons per site (10-20 units). 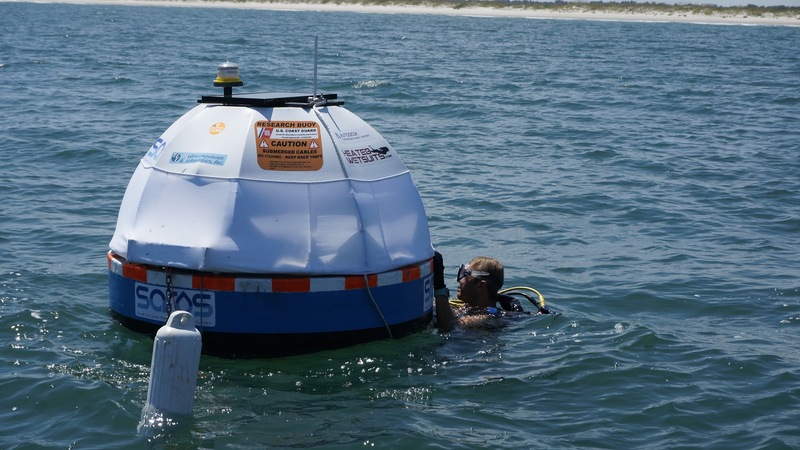 Regarding cost, a gallon of desalinated water to 6/10 of a penny (0.6 cents) using the SAROS unit. Desalination is the process of removing salt from water. 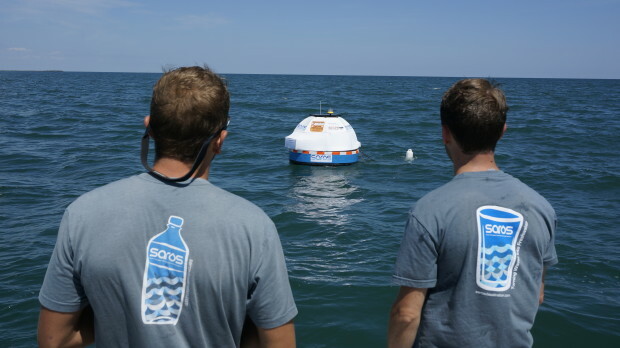 With SAROS, you can able to take seawater and remove enough salt to make drinkable water that can also be used for irrigation. 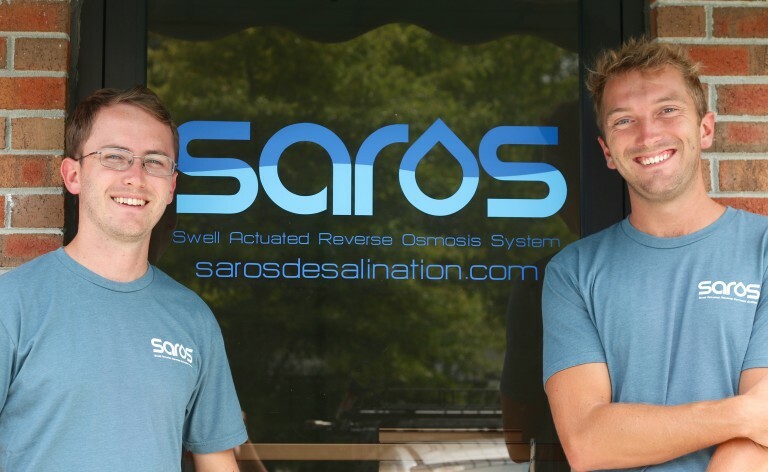 SAROS desalinizes through what’s called a reverse osmosis system. 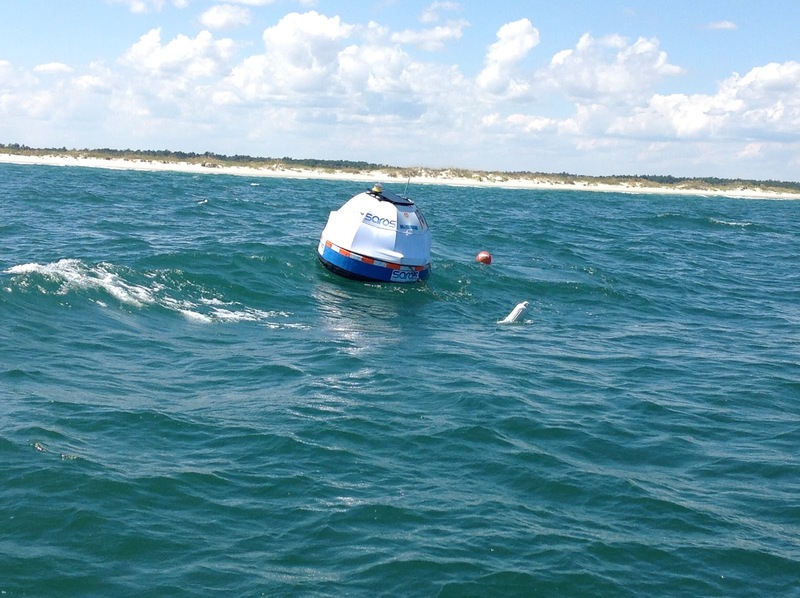 Essentially, it’s sending pressurized sea-water through a molecular sift, with some of the product collecting as fresh, potable water, and some of it being redistributed back into the sea as a brine, ensuring that the area of ocean around the buoy isn’t over saturated with the salt by-product. It produces no emissions and minimal salt brine concentration, drastically reducing the environmental impact of desalination. 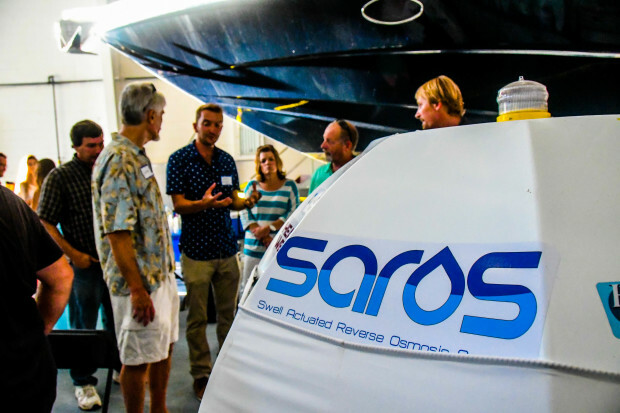 SAROS founding engineers, Chris Matthews and Justin Sonnett have kept the design of SAROS simple, by using common components and helps in ease of maintenance. By concentrating only on fresh water production and not electricity production, SAROS has much higher efficiency. 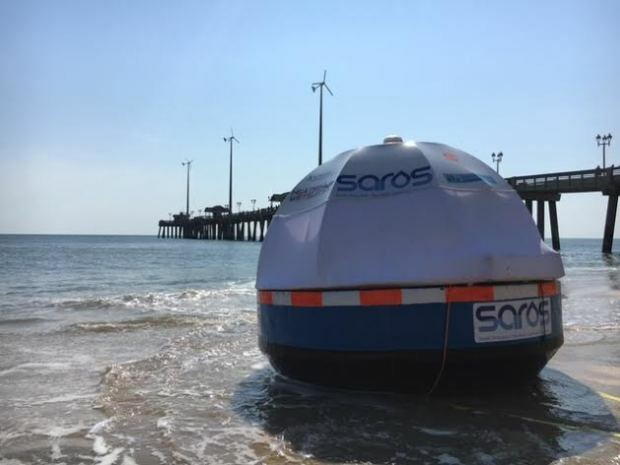 The innovative, wave-powered technology used in SAROS could also be configured to do things like generate electricity, autonomously pump water to clean up oil spills or even filter plastic from our ocean. 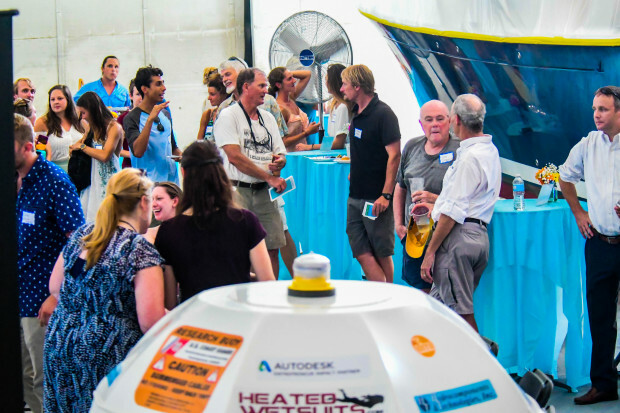 SAROS has received many awards and recognition including being named as a semi-finalist at Hello Tomorrow Competition and the St. Andrew Prize for the Environment. It was the finalist in Sustain Charlotte Awards in the Water category and has awarded Best Paper Award at the Caribbean Desalination Biennial Conference in Port of Spain, Trinidad in April & June this year respectively.